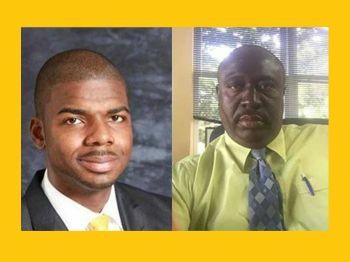 EAST END/LONG LOOK, Tortola, VI – The Opposition Virgin Islands Party (VIP) will launch two candidates for the eastern side of Tortola, tonight Wednesday, February 6, 2019, and Thursday, February 7, 2019. 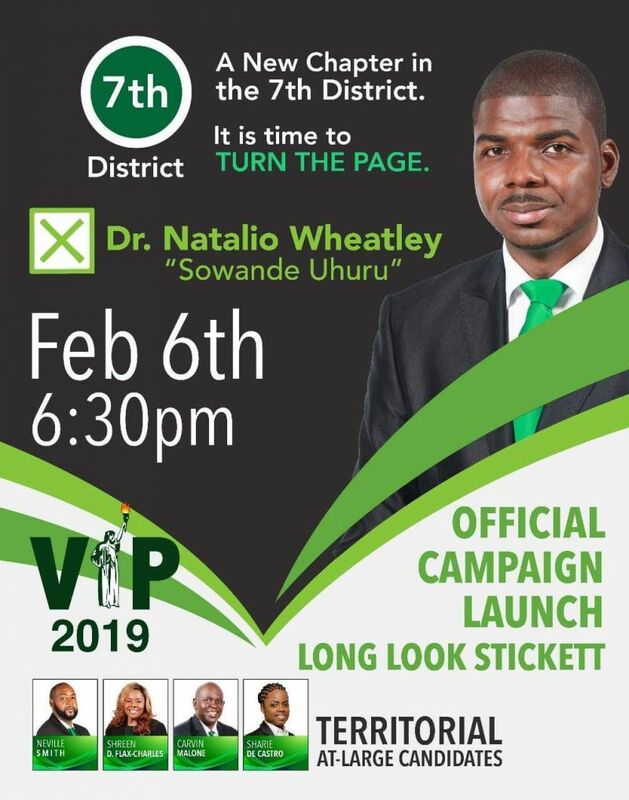 Tonight will see the launch of Dr Natalio D. Wheatley aka 'Showande Uhuru’ to represent district 7. Dr Wheatley is a college lecturer and political pundits have labelled him the underdog candidate in the three-man race. He will face incumbent independent Dr the Honourable Kedrick D. Pickering and Hipolito D. Penn of National Democratic Party (NDP 1). Some political commentators have given Dr Pickering, who has been in office for 20 years [1999-2019] the edge, but in a year when the people want change, anything can happen. In District 8, the VIP will launch on Thursday, February 7, 2019, Dean B. Fahie a former Deputy Comptroller of Customs. He will face incumbent Hon Marlon A. Penn who has been in office for 8 years [2011-2019] and is now the Minister for Health and Social Development. Meanwhile, NDP 1’s, Mr Penn has launched last evening February 5, 2019, at the Long Look Sticker, the same place Dr Wheatley will be launched tonight. 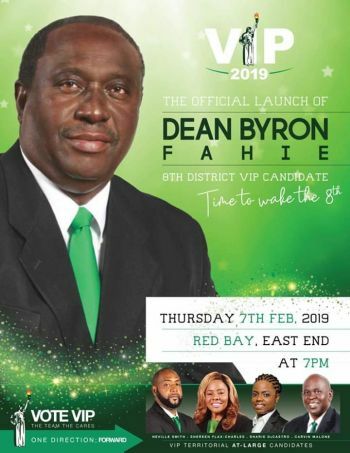 Mr Fahie will launch at Red Bay in East End. Political observers noted that if the VIP could pick up one of the two seats, it is a clear indication that they will be the next Government. Thumbs up if you think they stand a chance..
Not voting for no VIP! Save the VI from disgrace. We voting VIP all the way. Time to wake the 8th!! Sowande is getting my vote!! He is a people's person! He should've been voted in a long time ago!! Wheatley is VERY intelligent, a people's person too. Let's see what he will bring to the table tonight because NDP's Diego did an excellent job for his platform last night. Sownade, I wish you the best, BUT I wish you were At-Large. Well as for Fahie, a walking dead - I can't wait to hear what he has to offer. I'm going with Wheatley, he been fighting for us all this time. The others ain't for we but we for them. I really hope Byron will win in the eight. Cannot afford Marlon another four years. I Voting VIP all the way. Time for change but not with D.Penn or Pickering. But With Mr Wheatley time for some honesty in the 7. Sowande was basically repeating what diego say he had a lot of good ideas but he could not say in detail how he going to get these things done and how he was going to get people involve. Also he did not in details how revenue you generate from agriculture the different types of Agriculutre, he never list how we can go about plans to carry forth the fishing industry how income can generate from it. He give a pie in the sky idea with braithwaite them having direct flights from the states to the BVI. Also he never talked in details on how he will develop the waterfront. It was so shocking to hear when he mentioned that he stood of about bi-water but when no further to talk about the 43 million dollars his same party VIP wasted in a bankrupt company but have the heart to strees on the 7 million government invest in the BVI Airways. He is the said person use to say that VIP and NDP corrupt on his talk shows. No he has align himself with the said corrupt party. It is so amazing.